Hailing from Dewsbury, West Yorkshire (a town otherwise famous for international terrorists, fake kidnaps and 'Britain's Best Market'), charming northerner Craig is currently one of the hottest rising talents on the comedy circuit. a lacklustre mob into a clapping, cheering, delirious audience ready to laugh all night. Having honed his talents as an MC introducing others, in 2008 he began bringing his impressive stage presence and flair for audience banter to his very own stand-up set. Since then, his rise through the comedy ranks has been nothing short of meteoric. Within just 1 month he had reached the final of The Other Side New Act of the Year competition and within 3, the final of the coveted Hackney Empire New Act of the Year. In the last two years he has also appeared in a comedy film alongside Adam Hills and Brendon Burns and recorded a comedy pilot for the BBC. An instant crowd pleaser with a charismatic, mock-confrontational style, Craig is now a highly sought-after act and compere, performing all over the UK. CLUBS: A range of clubs/promoters including: FYMFYG Bar (20s, Headlining), Highlight (20s, MCing), The Funny Side (20s, headlining, MCing), Jesters (20s), Covent Garden Comedy Club (MCing) Rawhide (20s), Frog & Bucket (20s), Mirth Control (20min sets, 40min sets & MCing), Comedy Club Ltd (20s) So Comedy (MCing), Hilarious! 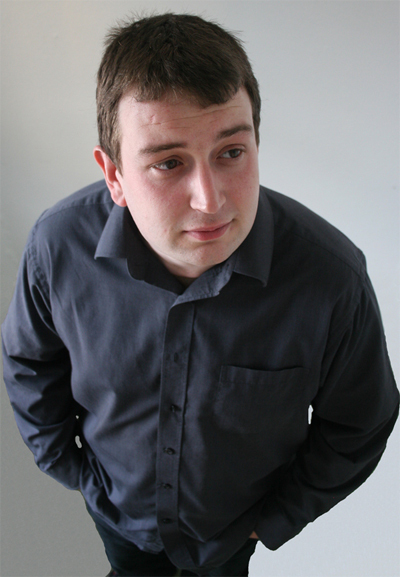 (headlining, 20s & MCing) C69/Cuda Comedy (Headlining, 20s & MCing), Terry the Stand-Up (20s & headlining), Porthole Comedy Club (20s), Rob Riley - various (20s, MCing) Paul B Edwards gigs (20s, MCing). CORPORATE: Also in demand on the corporate circuit, Craig has performed for clients such as: Goldman Sachs, Bird & Bird, VK Direct & No.5 Chambers.